Discount available! Recommend GSM compact interface with M95 to your friends and get your Discount. 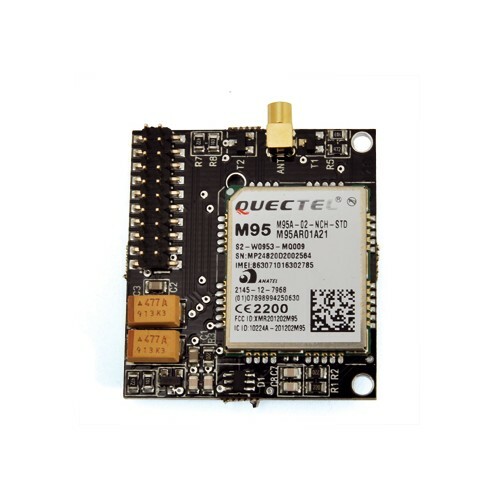 Compact card containing the GSM cell M95 of Quectel, an MMCX antenna connector 90 and a male strip 2x10-pin 2 mm pitch on which are available power, the ignition control line (PWR), all signals and the serial communication lines to and from the GSM module. 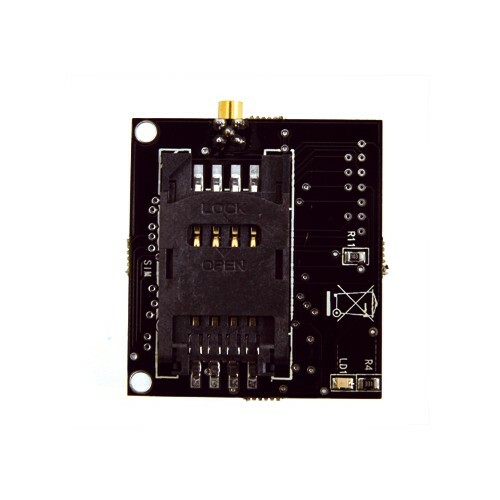 The connector is provided on the power (Vcc, contacts 17 and 19), the ignition control line (PWR), all the signals and the serial communication lines to and from the GSM module, but also the mass (GND, contacts 18 and 20). Board comes fully assembled. Dimensions (mm): 41x35x10 mm. 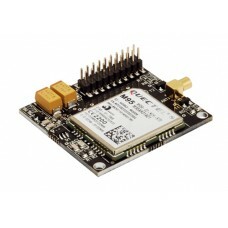 The package does not include the GSM antenna (see related products).